Will Johnston is a fun-loving man about town in Atlanta. Known locally as the “Tiny House Guy”, Will relishes his life as a micro-living ambassador. His positive energy is simply contagious. So contagious in fact that it has spurred big policy change. Will founded Tiny House Atlanta, an organization dedicated to building walkable, sustainable “micro-hood” communities while educating individuals, groups, and cities about the positive impacts of micro living. Additionally, they are one of the largest tiny house Meetup Groups in the nation. In 2017 Will and his partner, Kim Bucciero, collaborated with the city of Atlanta on a Tiny House Feasibility study. The result: an expanded accessory dwelling unit (ADU) zoning ordinance to encourage the development of more micro housing across the city. 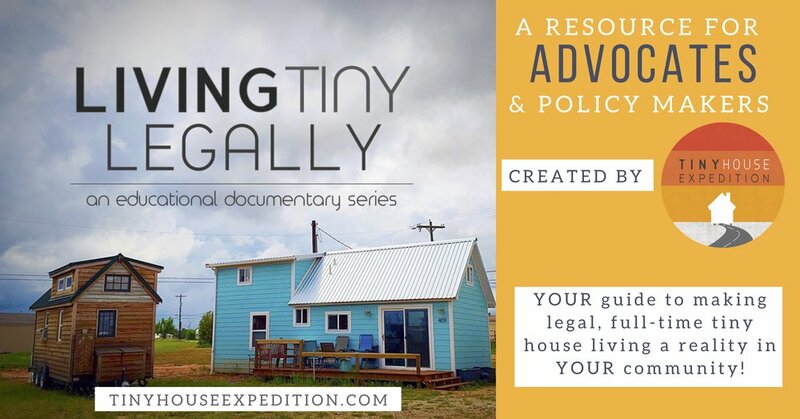 During this same time, Will and Kim were instrumental in advocacy efforts for the statewide adoption of the International Residential Code (IRC) Appendix Q. Georgia became the second state in the nation to adopt this model building code for tiny houses. A huge victory for the newly formed Micro Life Institute, also founded by Will Johnston. It is broadening the local scope of Tiny House Atlanta to have an impact on the state, and perhaps even regional, level. All effective movements start local, and Will definitely is maximizing every opportunity to help create a more vibrant community through small space advocacy. Fresh off the Appendix victory, Tiny House Atlanta celebrated the approved rezoning of their property which means their Eco Cottages at East Point cottage community will move forward. Located in historic downtown East Point, in the metro Atlana area, the community will have over 40 eco-cottages on permanent foundations with vast green space, across 7.69 acre parcel. Each house will range from approximately 500-1000 square feet, drastically smaller than the average American home. How do you create more innovative communities and more micro housing options? A roaming advocacy tool, of course! In December, Tiny House Atlanta debuted the Tiny Office, a collaboration with City of Atlanta Mayor’s Office of Resilience. Together they created an innovative mobile workspace that acts as an alternative to traditional office environments and is being used to promote sustainable and micro living. It boasts sustainable materials and off-grid technology, including a Tesla powerwall and a rain catchment system. Our greater tiny house/micro living movement needs more Will Johnstons. Do your part and get involved!